The media personality shows acting isn’t her only talent with the release of her first rap song . 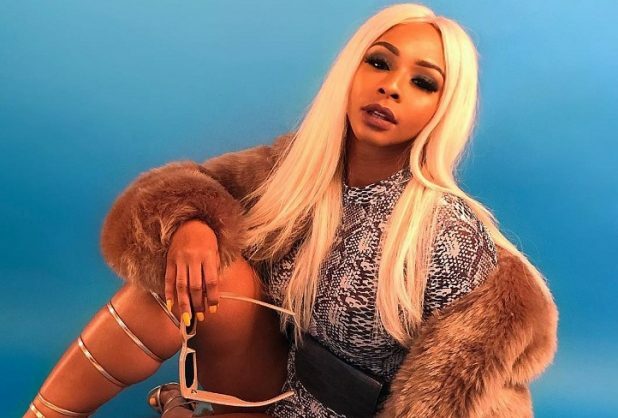 Boity Thulo has finally released her highly anticipated song WuzDut, marking her official debut as a rapper. The star was a guest on the Fresh Breakfast Show on Metro FM yesterday to launch her first single, which also features Nasty C.
Boity teased fans with a picture of the cover art and a 30-second snippet of the single in the build-up to the song’s release on August 31. Clubgoers are in for a real treat as Boity will also be performing the song live with her dancers at Taboo Sandton tonight. A video of the dancers rehearsing the choreography offered a sneak peek of the performance. This is not the first time Boity has worked with Nasty C. She previously rapped with him on Club 808 last year. She then stole the show at the Migos Culture Tour in Johannesburg when she joined Nasty C on stage to debut a song the duo collaborated on. At the time, Boity dashed fans’ hopes when she announced she was taking her music aspirations slowly. It appears she has since changed her mind, with many speculating she may embark on a serious musical career. Listen to Boity’s new single WuzDat below.